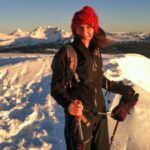 : Ski instruction at Willamette Pass. 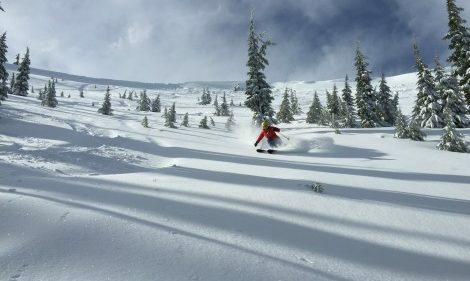 Ski areas across Oregon are offering incredible beginner skier and snowboarder packages this winter including professional lessons by certified instructors, lift access and equipment rentals for as little as $50 per day. These great deals are aimed at novice skiers and snowboarders. Visitors are guaranteed to find the perfect program, whether you just have time for a fun two-hour lesson or are determined to finally nail down the basics of the sport and join the legions of fellow skiers and snowboarders. In addition to these great deals, newcomers are encouraged to share photos of their first day skiing and snowboarding lesson experience using the hashtag #firstdayfaces. This campaign includes fun prizes offered through the Learn to Ski and Snowboard Month of January and throughout winter. Mt. Bachelor’s award-winning SKI OR RIDE IN 5℠ is designed for “never-ever” skiers and snowboarders. This five-lesson program for adults and kids ages 6 and up features five two-hour lessons and includes ski or snowboard rentals and lift tickets for $229. The program begins January 5, 2019 and all five lessons must be completed by March 24, 2019. The deadline to enroll in the program is January 31, 2019. To sign up, call 541-382-1709. (Only those who are brand new to snow sports are eligible to enroll.) Once participants are pre-registered, simply show up any five days between early January and March 23. Two-hour lessons are offered daily at 10:00 a.m. and 1:00 p.m. at Sunrise Lodge. The reward for completing all five lessons in the program is a free Mt. Bachelor season pass for those ages 6-18 or a 12-day pass for ages 19+ valid for the remainder of the 2017-18 winter season. In addition, those participants who complete the program are eligible for big discounts on future season passes including 50% off the following winter’s season pass! 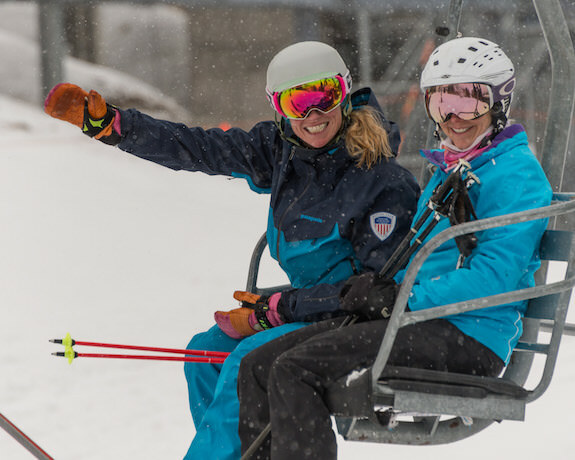 Timberline offers a beginner’s Discover lesson package that includes everything you need including a two-hour group lesson, rental gear and a Bruno’s beginner lift ticket for just $125. This lesson is offered seven days a week at 10:00 a.m. or 1:00 p.m. for ages 13 and up. 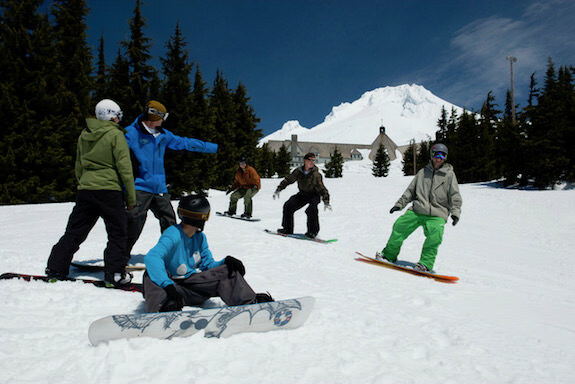 Beginners will learn the basic concepts of skiing or snowboarding. Reservations are strongly suggested. The Discover package also includes a 20% discount on additional lessons including Next Step Group Lessons and Private Sessions. Beginners can also take advantage of Timberline’s all-ages beginners Discover Pass, featuring unlimited Bruno’s Chair access plus access to Summit Ski Area, as well as unlimited beginner rentals for the 2018/19 season for just $199. This is a great continuation of the Discover Lesson Package! Timberline Ski and Ride School. Hoodoo Ski Area is offering a great “1, 2, 3 & Rent for Free” beginners package. This package includes three two-hour group lessons with lift tickets and rentals for $149. The first lesson includes an Easy Rider lift ticket, and the second and third lessons include an all-mountain lift ticket. In addition, after completing all three lessons, participants will be rewarded with a certificate for free rentals for the remainder of the 2018-19 ski season. This deal is offered for ages 7 and up for beginners only and is available starting January 7, 2019. Mt. Hood Meadows upgraded its beginner facilities last season with a new beginner Buttercup Quad lift with ChairKit conveyor carpet assist for easy chairlift loading. The resort also added enhanced learning terrain features in the beginner areas designed to assist skiers or snowboarders in making turns on their initial runs. New for this season, the resort is offering a Toyota “Let’s Go for the Snow” three-time adult night ski or snowboard lesson starting at $92. The deal also allows you to add on three night lift tickets and three night equipment rentals at an additional cost. The package is available for ages 13 and older and can be used any three nights during the season. This deal is also available as a Toyota Learn To Ski Or Snowboard Evening Lesson select Saturday nights through the winter as a one-time two-hour evening group lesson for just $15 for those 6 and older. Plus, for one day only on Friday, January 11, 2019 (Learn to Ski & Snowboard Day), the resort is offering $20 two-hour group lessons! Equipment rentals and a beginner progression lift ticket can be added for just $10 each. Skibowl offers beginner skiers and snowboarders the opportunity to enroll in its guaranteed “Learn to Ski/Ride 1-2-3″ program. This includes three visits, each with a two-hour lesson, lift tickets and equipment rentals for $150. Those who purchase this package are also eligible for half-price lift tickets and rentals or season passes for the remainder of the season. The program must be completed during the 2018-19 season. 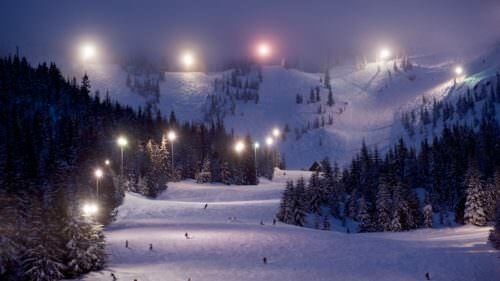 Also, for one day only on Friday, January 11, 2019 (Learn to Ski & Snowboard Day), Skibowl is offering its best deal of the season on a ski or snowboard lesson. At 10 am and 5 pm, anyone 8 years and older can take a first timer lesson for $29! This includes rental equipment and learning area lift ticket. 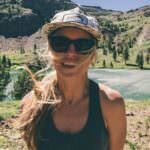 Anthony Lakes offers a one-day or three-day Greenhorn Package for never-ever skiers and snowboarders. The three-day package for $145 includes one-hour group lessons, lift tickets (day one is Bunnyhill, two days are Rock Garden access) and ski or snowboard rentals. The lessons do not need to be used for consecutive days, but must be used during the 2018/19 season. The one-day package is offered at $55. 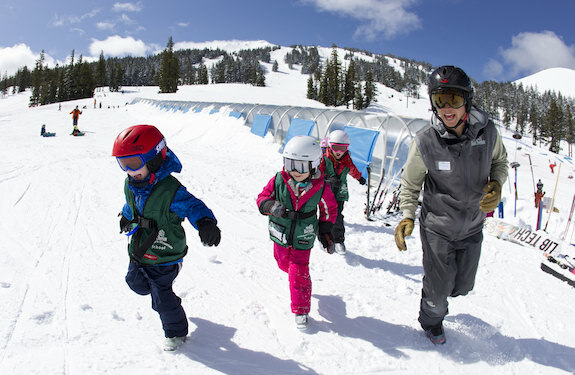 The resort also offers Tiny Tyke Packages for kids ages 4-6 including a $65 day package or $175 3-day package. Mt. Ashland Ski Area is offering first-time skiers and snowboarders an all-inclusive two-hour group lesson with lift ticket and equipment rentals for $50. Lessons start at 10:00 a.m. and 1:00 p.m.
Willamette Pass is offering a Learn to Ski or Board 1-2-3 program for ages 8 and above. This introductory lesson program includes three days of equipment rentals, lessons and lower mountain lift tickets for $139. The goal of the series of progressive lessons is for participants to have the skills to ski or snowboard all of the ski area’s green runs and some of the easier blues by the end of day three. While all three days must be used during the same season, they do not need to be consecutive. 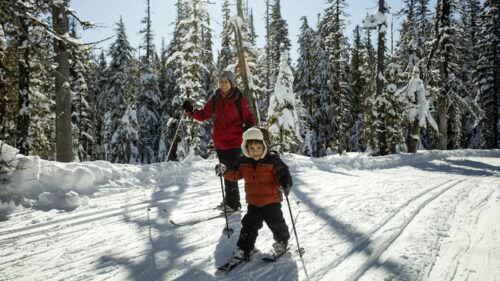 What are your favorite Oregon winter adventures?